Michael Portillo, the former Conservative Secretary of State for Defence and Shadow Chancellor, has criticised Chris Grayling, the Transport Secretary, who has refused to resign over the Brexit ferry contracts. “As Labour said in the chamber – the most incompetent minister of all time, probably. He is pro-Brexit and nearly all the other Eurosceptics have jumped ship now”. There have been cross-party calls for the resignation of Chris Grayling, the Secretary of State for Transport, following the collapse of a contract with Seaborne Freight. Grayling rejected concerns about the status of the contract which has now been cancelled. Chris Grayling, the Secretary of State for Transport, has confirmed that the Government will support the building of a third runway at Heathrow Airport. The proposal had been approved by the Labour Government in 2009, with a planned opening date of 2015, but it was cancelled by the then incoming Conservative Government led by David Cameron. “Heathrow will be privately financed and costs will not fall on the taxpayer. To make sure expansion is delivered with consumers’ interests at heart, the government has asked the Civil Aviation Authority to ensure the scheme remains affordable while meeting the needs of passengers. Heathrow is already the UK’s biggest airport for passengers and freight and the north-west runway will almost double the airport’s capacity for goods, allowing businesses across the country to increase their exports and take advantage of new global customers”. “Expansion at Heathrow presents a unique opportunity to deliver a multi-billion pound boost to our economy, strengthen our global links and maintain our position as a world leader in aviation. We have listened to views through our consultations and will ensure a world-class package of measures to help any local communities affected by the expansion”. Chris Grayling, the Secretary of State for Transport, is today launching the Government’s strategic vision for the rail network. It includes plans to re-open previously closed lines, creating a new partnership for managing the track and trains and introducing new digital technologies. “The last few years have seen massive growth on Britain’s railways. This industry has reversed decades of decline under British Rail, delivered new investment and new trains, and doubled the number of passengers. But now we need to build on that success by building a new model for the 2020s and beyond, one more able to deal with the huge rise in passenger numbers and the challenges of an increasingly congested network. Rail passengers deserve a more reliable, more efficient service – and I will deliver it by ending the one-size-fits-all approach of franchising and bringing closer together the best of the public and private sector”. “The Strategic vision for rail also commits to explore opportunities to restore capacity lost under the Beeching and British Rail cuts of the 1960s and 1970s by identifying new schemes that unlock new housing or economic growth and offer good value for money. At the heart of the new strategy is a commitment to improve passenger experience across the network and take advantage of new technology to improve services. This includes major changes that will extend passenger rights – including compensation for passengers when trains are more than 15 minutes late. We are also supporting the introduction of a Rail Ombudsman to ensure all passengers are treated fairly”. Chris Grayling, the Secretary of State for Transport, has rejected suggestions that a no-deal Brexit would see a sharp rise in food prices. He said that in such circumstances the UK would become more self-sufficient and look for markets outside of the EU. His comments come after warnings of significant price increases if the UK can’t secure a favourable Brexit deal. “What it would mean would be that supermarkets bought more from home, that British farmers grew more and that they bought more from around the world”. “Of course that will mean bad news for continental farmers, and that’s why it won’t happen. Because it’s actually in their interest to reach a deal”. The Government has confirmed that it will be offering assistance to ensure that 110,000 passengers can be returned to the UK following the collapse of Monarch, the country’s fifth largest airline. The Government said that the project was the largest peacetime repatriation of citizens in history but that it would work with ATOL to ensure a minimum of inconvenience is caused. “This is a hugely distressing situation for British holidaymakers abroad – and my first priority is to help them get back to the UK. That is why I have immediately ordered the country’s biggest ever peacetime repatriation to fly about 110,000 passengers who could otherwise have been left stranded abroad. This is an unprecedented response to an unprecedented situation. Together with the CAA, we will work around the clock to ensure Monarch passengers get the support they need. Nobody should underestimate the size of the challenge, so I ask passengers to be patient and act on the advice given by the CAA”. Chris Grayling, the Secretary of State for Transport, has confirmed that freedom of movement will end after the UK leaves the European Union. He also confirmed that the Government will consider paying money to the EU during a transitional period after 2019. “We have said all the way through that we are a nation that meets its obligations, that’s right and proper. We should always be a nation that meets its obligations, and that’s something she is going to say again today”. The Prime Minister is making a speech in Florence later today which will set out the Government’s vision for a post-Brexit UK. It is thought that few EU leaders will be present at the speech, but it is expected that the Government will confirm it will make a payment to settle liabilities. Chris Grayling, the Secretary of State for Transport, has confirmed that there will be a large investment of nearly £1 billion in the West Midlands rail network. The details have been announced following the agreement that West Midlands Trains Ltd will operate the franchise from December 2017 until March 2026. There will be 400 new carriages introduced onto the network by 2021, along with an increase in passenger capacity of 85,000. There will also be free wi-fi for all passengers on main-line services from 2019 and compensation for services delayed by at least 15 minutes. “This is great news for passengers using West Midlands services – with new trains, more space, more regular services and easier access for disabled people. We are improving the whole travelling experience with live train crowding information, compensation for people delayed by 15 minutes or more, smart ticketing and better value tickets for part-time workers. This shows we are delivering on our commitment to build a railway that works for everyone”. 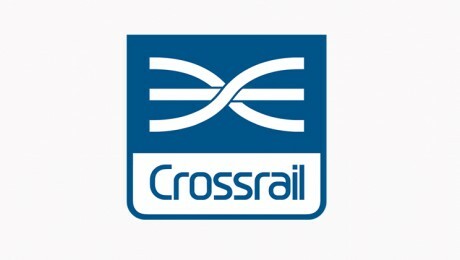 Sadiq Khan, the Mayor of London, and Chris Grayling, the Secretary of State for Transport, have issued a joint statement over the future of Crossrail 2. Construction work is projected to start in 2023 with an opening in around 2032. 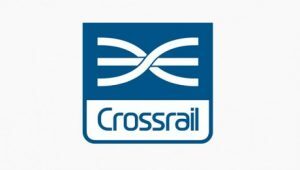 “I am a supporter of Crossrail 2 but given its price tag we have to ensure that we get this right. The Mayor and I have agreed to work together on it over the coming months to develop plans that are as strong as possible, so that the public gets an affordable scheme that is fair to the UK taxpayer. Following a successful outcome being reached I am keen to launch a fresh public consultation to help gather views to improve the scheme and clarify the position around the safeguarded route”. “Crossrail 2 is essential for the future prosperity of London and the south-east, so I’m pleased that the Transport Secretary and I have reached an agreement to take this vital project forward. We will continue to work together to ensure the project is value for money and provides the maximum benefits for jobs and growth in the region over the coming decades. I look forward to moving to the next stage of consultation”. The Government has announced that the seven year rail franchise to operate the South Western rail franchise has been won by First MTR South Western Trains Limited. MTR, one of the partners behind the franchise, currently operate the Hong Kong metro system. “Following on from our announcement on the start of the South Eastern Franchise consultation, this deal is more great news for rail passengers.